While you'd be wise to get your holiday travel sorted soon, you might also want to consider sneaking in one last getaway this fall before the madness of Thanksgiving, Christmas, and New Year's sets in. That's because JetBlue has a new sale, featuring a whole slew of super-cheap flights to cities all over the US and beyond for as little as $44. It's cool, we'll wait while you peek at how many leftover vacation days you can potentially scrounge up. Like most of JetBlue's flash sales, this one includes a long list of deals for one-way flights in and out of nearly every airport the airline frequents, including several international destinations like the Bahamas, Dominican Republic, Barbados, Aruba, Colombia, and Cuba. 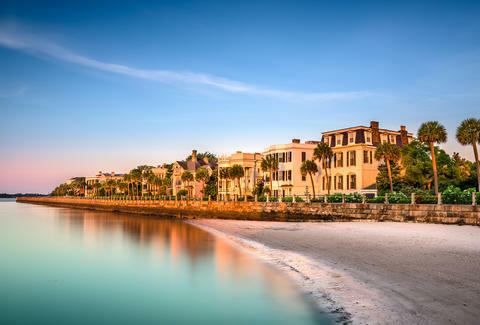 However, the best deals are on domestic routes, with highlights including Ft. Lauderdale to Chicago for $44, Boston to Atlanta (and vice versa) for $54, NYC to Charleston for $69, and Austin to Long Beach (and vice versa) for $89. As per usual with these types of sales, there's some fine print to consider. For one, you'll need to book before October 18 at 11:59pm, and you'll need to be able to travel sometime between October 25 and December 14 of this year (excluding some blackout dates like Thanksgiving). These prices also only apply to JetBlue's Blue fares, which means you'll pay an extra $25 if you want to check a bag (and $35 if you need to check a second). Still, this is a damn fine excuse to skip town for one more leisurely long weekend before the new year.